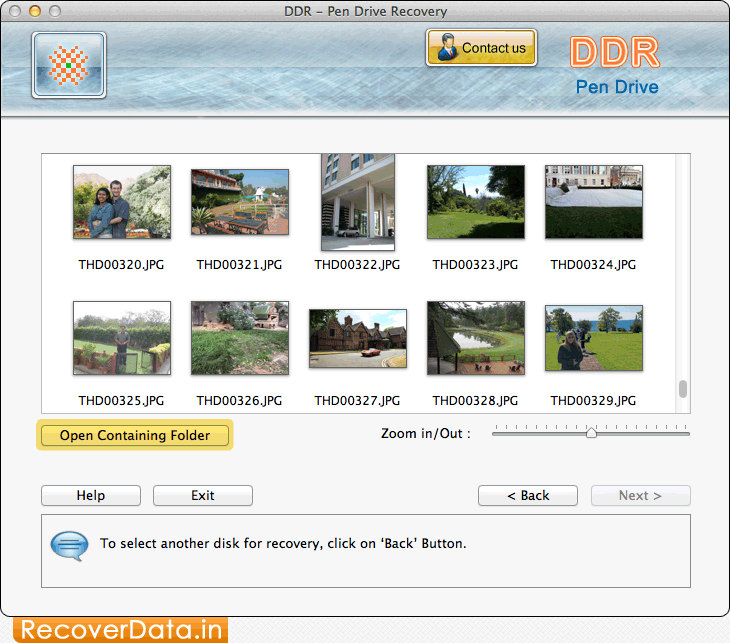 Select the storage media (Recover Photos or Recover Files) from which you want to recover lost data. 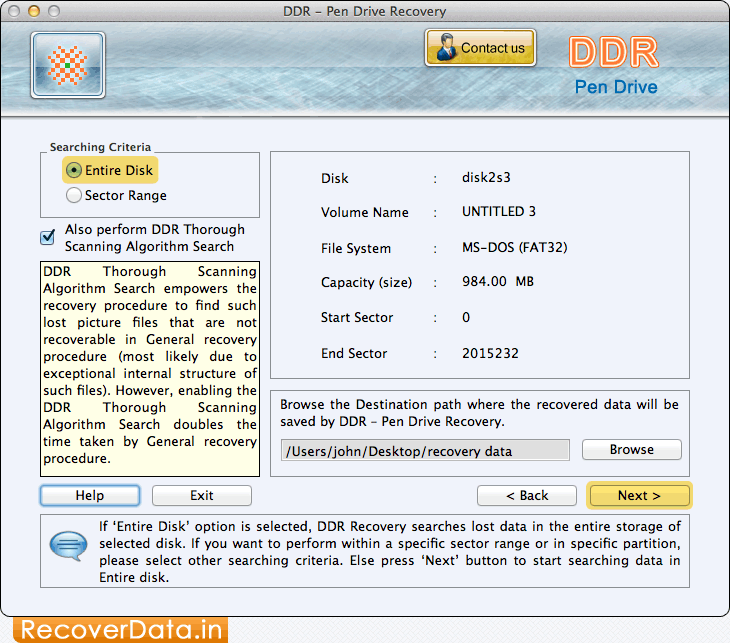 Select searching criteria to perform DDR Thorough Scanning Algorithm Search for data recovery. Now click on 'Next' button. 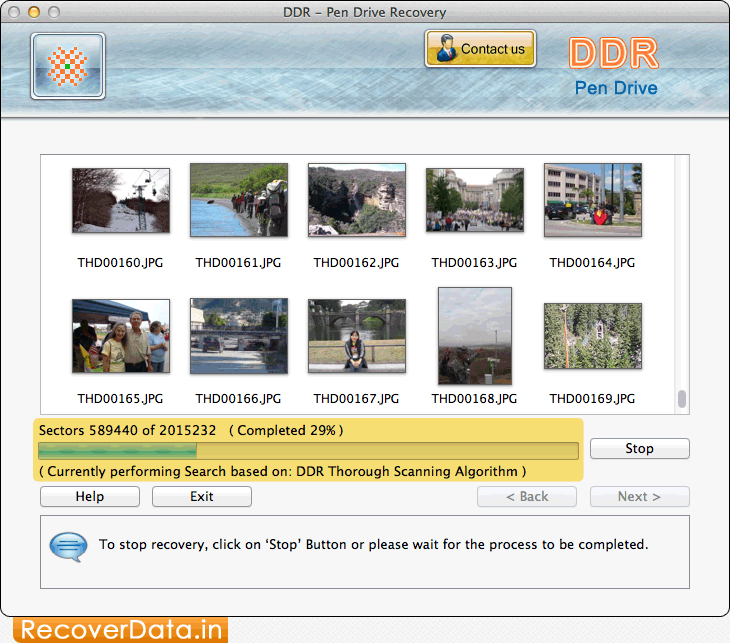 Progress bar to represent status of searching procedure based on DDR Thorough Scanning Algorithm. 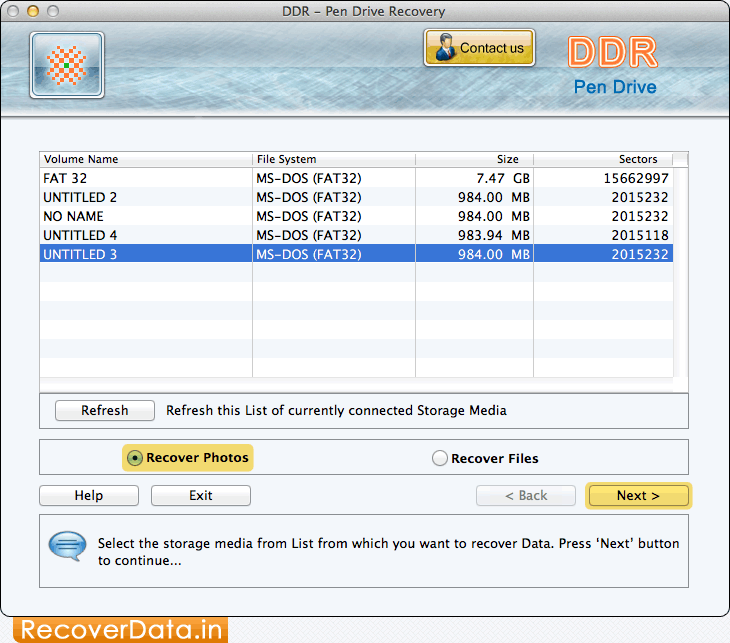 You can view recovered data by clicking on 'Open Containing Folder' button.